With immense market knowledge, we have been able to provide optimum quality Ladies Backpack. We by the good service and high product quality To meet the needs of the buyers. We will be honest with each other. Here in my shopping guarantee you satisfied. Leveraging the skills of our qualified team of professionals, we are instrumental in offering a wide range of Ladies Designer Backpack. 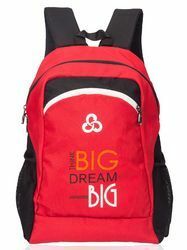 We are a reputed organization of an extensive assortment of Designer Ladies Canvas Backpack. The offered backpack helps in carrying all the essentials in style. This Blue Women's Backpack has been designed by skilled professionals using premium quality material that helps it to last long. We manufacture premium quality custom printed bags in non woven fabric, canvas, mattee, denim, cotton & nylon material. Durable and sturdy construction using only the best of machinery and fittings gives these bags extended durability & strength.